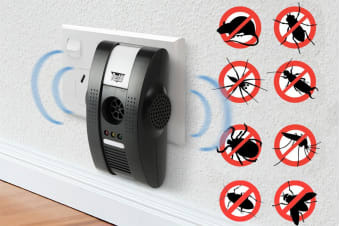 Using advanced and safe methods like ultrasonic, electromagnetic and anion technologies, this Pest Repeller rids your home of common pests without causing you any inconvenience. Place in the home, outdoor shed, cafes, kitchens, etc. Using ultrasonic frequencies and electromagnetic pulses that cannot be perceived by humans but are intolerable for small rodents and insects, the Pestill Multifunction ElectroSonic Pest Repeller gets rid of pests safely without the use of poisons or messy techniques. It also features an air purifying anion technology that kills bacteria, removes odours and other contaminants by releasing negative ions into the ambient air. 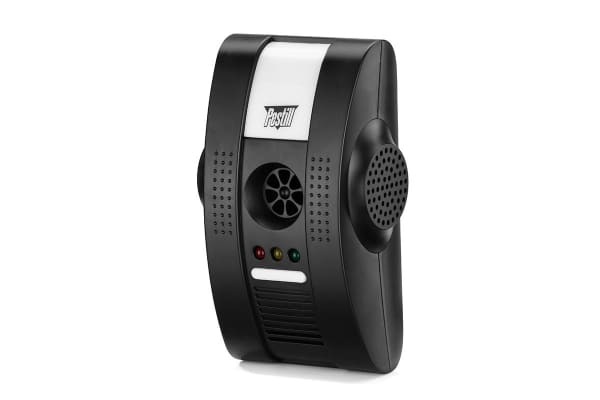 With four modes that enable the use of the 3 different repellant technologies either separately or in unison, this Pest Repeller equips you with various ways of dealing with pests. Using the 4 different modes ensures that the pests do not become immune or accustomed to one method and thus the repeller stays effective always!